With your ruler (Mars) moving through Pisces and your 12th house this month you may be asking yourself: “Is that all there is?” especially if you’ve attained something you so desperately longed for in the past, only to see it differently now that you’ve attained it. It may represent a relationship that’s lost its luster, a job that turns out to be tedious rather than rewarding, or a set of ideals that under the harsh light of day no longer seems so inspiring. 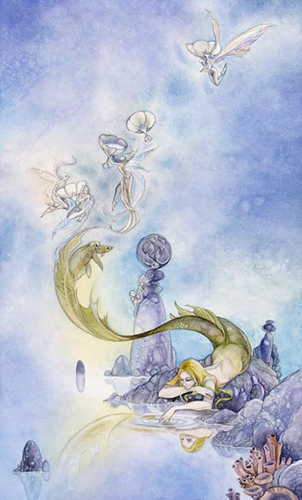 The young mermaid in this card — from the gorgeous Shadowscapes Tarot — looks bored and uninspired. She gazes down at her reflection, idly tracing ripples on the surface of a stream. The Four of Cups can relate to a lack of motivation or a lethargy so profound that it threatens to numb you or trap you in your sense of boredom. It can have you wondering whether there might be something else out there that would excite or inspire you. It can also relate to a lack of energy, which may mean it could turn into period of inertia where you don’t feel like doing much of anything. It speaks of wondering whether there might be something else out there that would excite or inspire you. The Four of Cups is a card of apathy and ambivalence. The focus may be on what is lacking in your life, rather than what’s right there before you. One of the positive aspects though is that it reveals to you exactly what’s “wrong with this picture” and allows you the opportunity to make it right. It can get you thinking about how things could be — in an ideal world or at least with respect to following your dreams — and then what you can do to make those dreams a reality. While you may start out thinking “what’s the point?” you’ll have a clearer idea of what’s worth salvaging and what could use a little more work in the end. The question you’re going to have to ask yourself this month — with your ruler (Mars) turning retrograde — is how much are you willing to give up to attain what you desire? The Seven of Swords requires you to evaluate all the different sides of a complicated situation, and arrive at a solution that causes the least amount of distress.It can refer to a moral dilemma or one with no easy answer, such as a decision that favors head over heart. This is a tricky card that relates to an equally tricky dilemma. Do you risk letting go of the thing you treasure most just to save your neck? Or do you hold on for dear life, knowing that what you lose may be a far greater sacrifice in the end? 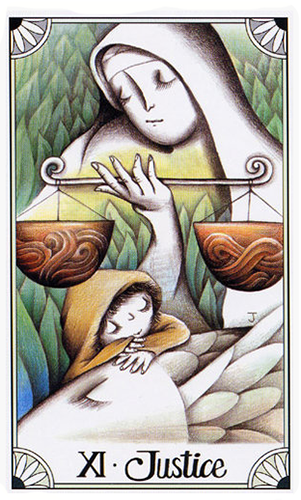 The imagery in this card — from the Mary-el Tarot — portrays this quandary perfectly. 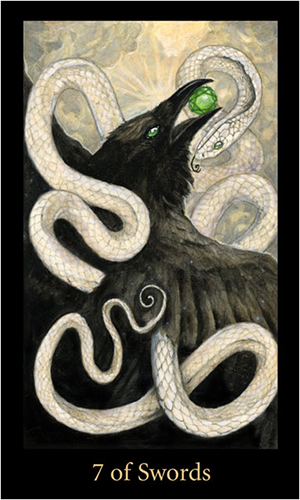 The Raven holds onto the jewel, and risks being devour by the serpent. Does he let go of his treasure in order to save his life? or does he hold on for dear life and risk losing everything? Traditional interpretations of this card speak of cunning, duplicity and deception. And there is some of that here. The Serpent could have easily coiled himself around the raven and tightened his grip already, but he takes his time taunting him with his hypnotic gaze. Mars retrograde can see you shifting gears and struggling with motivation. It can make harder to know what you really want, and how far you’re willing to go to hold onto to it. It can force you to have to “choose” even if that means having to choose the lesser of two evils. Just as the snake encircles the raven and systematically tightens his grip, so must you weigh the consequences of holding too tightly to what you value, especially if it means giving up something far more precious. This month may see you developing a renewed interest in travel, adventure and personal expansion. 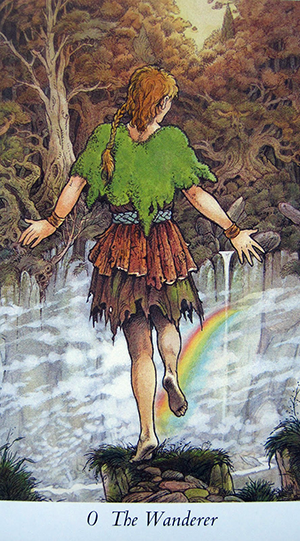 The Wanderer card (the Fool, in traditional decks) fits in beautifully with this dynamic, as it relates to being open to new experiences without regard for where they may ultimately lead. In the Wildowood Tarot’s version, we see a young woman striding toward the edge of a cliff, barefoot and unburdened by material possessions. Her arms are wide open and her gait is purposeful, even knowing that the path before her is partially obscured by clouds. There’s a waterfall on the other side and a shimmering rainbow bridge leading to it, but if you look closely you can also see the rocky terrain far below. A fall would be treacherous but somehow you know she’s not going to fall. Her faith and her optimism and her willingness to seize the day will see her safely to the other side. This is the essence of the Wanderer card; It’s about taking a leap of faith and being open to going wherever the moment takes you. Pay attention though to the clouds that may be obscuring your path. And keep in mind Ithat there will be some things you need to surrender, as a necessary part of taking that leap of faith. You want to think about these concepts, especially as they apply to opportunities that present themselves to you today. It’s not the time to fret about details or focus on what could possibly go wrong. You do want to keep your wits about you, and unlike the woman in this card you do want to watch your step. But immersing yourself fully in the journey — rather than thinking too hard or focusing too much on the destination — can open up a whole new world of possibilities for you that you won’t want to miss. You may be struggling with doing the right thing this month, or you may be trying to make a choice between right and wrong. Sometimes those choices aren’t clear — depending on whatever prerequisites you have in place for making those kinds of determinations. 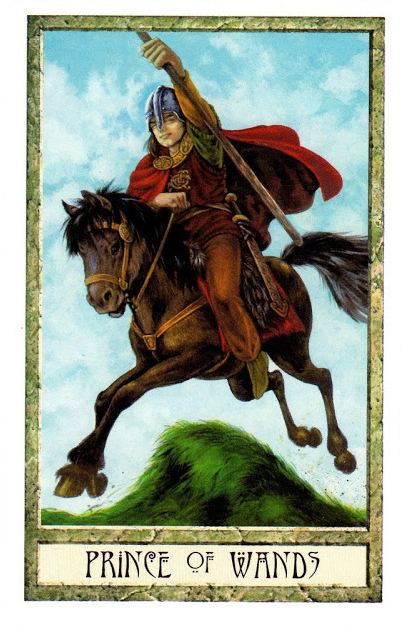 The Justice card — this version from Jaen Tarot — is about having to live with the choices you make and being able to sleep at night once you’ve made them. This requires an ability to balance the pros and cons of a situation, which requires balancing your head and heart. Notice that all of the figures in this card have their eyes closed. A small child rests over a giant sleeping fish, as a Madonna figure rises up from the mists of his dreams and watches over them. The scale she holds in her hand is precariously balanced. Between head and heart. Need and desire. Right and wrong. If any of those were given more weight than the other, that balance would be lost and the quiet contentment disrupted. 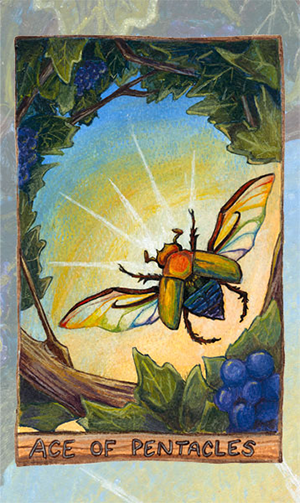 The Justice card speaks of a universal justice, divorced from what you want or wish for, and held under the microscope of truth, wisdom and universal law. This means that no matter how desperately you want a specific outcome, the one handed down will be fair and just. There are karmic repercussions inherent in this card. Whether it’s karma you’re sewing (doing the wrong thing even when you know it’s wrong) or karma that you’re reaping (having to face challenges that are a result of past misdeeds) know that in the end Justice does prevail. Keep that in mind so that you too can sleep at night, knowing that you’ve done the right thing. With Mars (your ruler) and Uranus in mutual reception now, it’s going to be a high energy month for you, with just as much potential for things to go haywire as there is for magic to transpire. 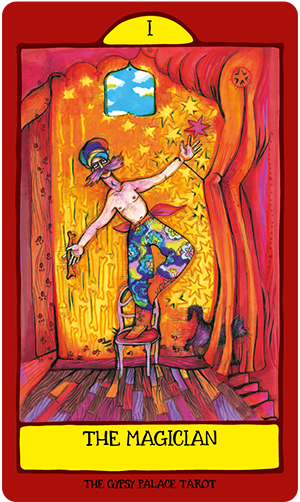 The Magician card — this version from Nora Huszka’s Gypsy Palace Tarot — encourages us to make the best use of all of the resources at our disposal. Especially during stressful times. The Magician — like the Fool — already has everything he needs. But unlike the Fool, he’s consciously aware of it. Sometimes it’s about learning to harness those energies and sometimes it’s about keeping them afloat. And sometimes it boils down to a precarious balancing act. Notice the black cat exiting the stage on the right. He’s left his paw prints all the way down the wall and across the backdrop. He’s traipsed all over the stage yet doesn’t seem to have distracted the Magician at all. That’s the kind of composure you wan to cultivate during this time. 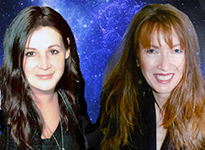 While Mars and Uranus bring in unexpected opportunities, there’s also a Jupiter / Uranus opposition to contend with. This can be a volatile aspect that can wreak havoc on your relationships. There are two ways to handle oppositions. The first one has to do with “owning” one side of the opposition and projecting the other one outwardly, onto another person or an event. The other is to see it as an opportunity to balance and integrate those opposing forces. The first option often results in crisis (when it comes to Jupiter and Uranus, it doesn’t matter which one you’re owning and which one you’re projecting — it’s not going to be a picnic). And the other has the potential to create “magic” (especially when it comes to Jupiter and Uranus). Your goal therefore should be head off conflict by working on balancing the “oppositions” in your own life. You may not be able to avoid confrontational people, but how you respond to them is entirely in your hands.That ability to harness your inner conflicts will ultimately provide you with the tools that can help you to handle the outer ones. 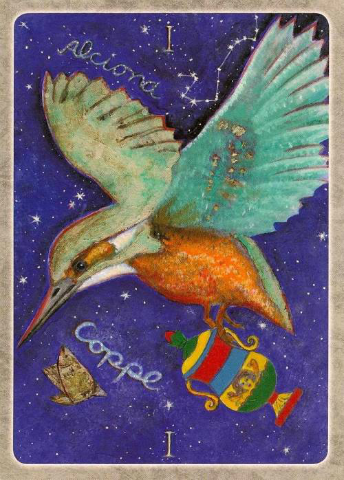 Your card this month — the Nine of Coins — represents that intricate and fulfilling balance between expressing gratitude and achieving prosperity. 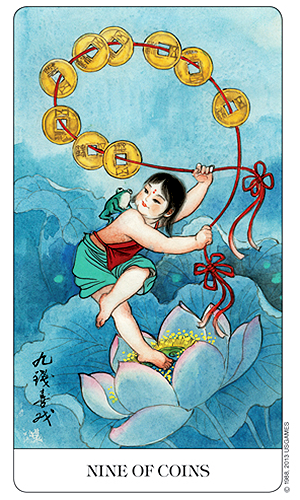 In this version — from the Chinese Tarot — we meet Liu-Hai, the coin-juggling god of abundance and prosperity. Liu-Hai and his loyal servant (a three-legged toad, sitting on his shoulder) are said to bring wealth and prosperity to those who are most deserving. Liu-Hai is also the protector of needle-makers, not only because they’re needed to thread the red (lucky) ribbons that sting the Chinese coins together, but perhaps also because they represent concepts like dedication and service. As a symbol of purity and enlightenment, it’s important to note the lotus blossom that Liu-Hai springs from. It’s a reminder to all of us that true wealth comes from rising above the muck, conducting ourselves with grace and integrity, and aspiring to practice right livelihood. The Nine of Coins represents getting to a point where you’re more than satisfied with what you’ve attained. This relates to money and material possessions, but also to your own sense of self-worth. This month you may feel like you are in a world of your own making and not willing to come out of it for anyone or anything. No matter how good an offer is that is made to you you prefer to stay within your own little world and not make any plans or moves just yet. 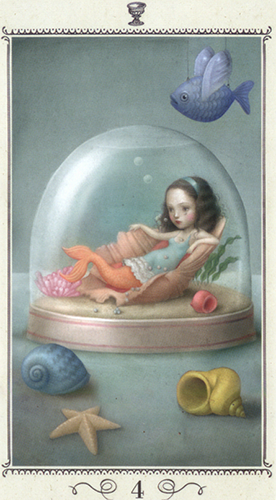 The Four of Cups — this version from the fabulous Ceccoli Tarot — is about boredom, melancholy and complacency, all of which are aptly depicted here. This is not a bad place to be as it gives you time to sit back and survey and contemplate what is around for you and also as you are making yourself scarce from others, it inadvertently puts you in a position where you can perhaps command more than you have received in the past. You actually know what you want. Notice you have your eyes on the nautilus shell (or is it a snail’s shell?) which is at the moment beyond your reach. You may have desired this for a long time and not known how to attain it. If there is something in your life that you have been wanting for a long time and it has not shown up use this month to come up with ways to bring it into your life. The bubble that you sit in shows that you are quite happy where you are but you may need to upset that balance, for a while anyway, to actually make your dreams come true. This month’s card — the Ace of Cups from the Secret Language of Birds Tarot — is all about romance, affection, flirtation, intimacy, communion and most of all love. Aces represent new and unformed energy. As Cups refer to emotions, intuition and feelings, it’s likely to manifest on one of these levels. It’s all about seeing your capacity to love and express feelings mirrored right back to you — through a new love interest, a friend or family member, or the eyes of a child. You may be starting a new relationship or expressing yourself romantically — whether or not a serious relationship develops from that flirtation. As with all Aces, the energy is so new and so unformed that a myriad of possibilities is completely within your reach. The process of falling in love reveals to you your purest, most perfect potential. It’s when you put your best foot forward and show the world what you’re capable of — and the Universe responds in kind. If you’re already in an established relationship, the Ace of Cups can refer to a renewal of affection and passion. It can represent a renewal, a more “formal” commitment or the onset of a new chapter in your relationship. Just like Alcyone’s movement from the last degree of one sign into the first degree of the next, you can replicate this energy by seeing the Ace of Cups as an opportunity to take things to the next level in your relationship as well. As Venus inconjuncts Neptune today, you may feel like you’re drifting along in a sea of apathy. 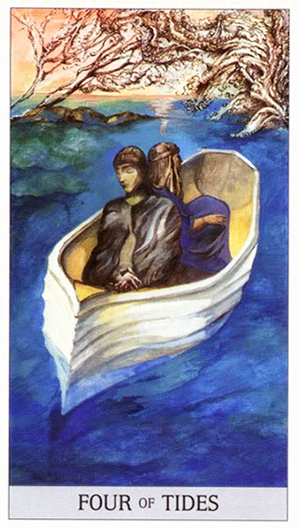 This card — the Four of Tides — is the Japaridze Tarot’s version of the Four of Cups. It’s a card that generally relates to disillusionment and discontent. And you can see how the couple are floating along with their backs to one another, lost in a state of reverie. The may not even be aware of one another’s presence. They just drift along, eyes closed, not even seeing the beauty and serenity that surrounds them. The Four of Tides can relate to a lack of motivation or a lethargy so profound that it threatens to numb you or trap you in your sense of boredom. It can have you wondering whether there might be something else out there that would excite or inspire you. It can also relate to a lack of energy, which may mean it could turn into a lazy day where you don’t feel like doing much of anything. One of the positive aspects of this card though is that it reveals to you exactly what’s “wrong with this picture” and allows you the opportunity to make it right. And the Venus / Neptune aspect can do the same. The Four of Cups is a card of apathy. It can represent disillusionment and discontent. It speaks of wondering whether there might be something else out there that would excite or inspire you. The focus may be on what is lacking in your life, rather than what’s right there before you. 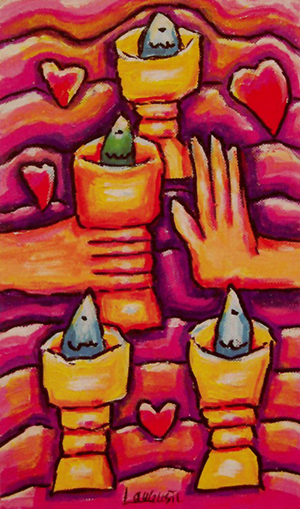 In this version of the card — from Stephen Lange’s colorful Langustl Tarot — all Four Cups are full, each containing its own little fish. Though they’re displayed in a vibrant sea of hearts, even the one that’s “different” in some way is being pushed away. A lack of motivation and lethargy are also hallmark features of the Four of Cups. There’s also generally a lack of energy, which may mean it’s going to be a lazy day where you don’t feel like doing much of anything. One of the positive aspects of this card though is that it reveals to you exactly what’s “wrong with this picture” and allows you the opportunity to make it right. And the Mercury / Chiron aspect can do the same. It can get you thinking about how things could be — in an ideal world or at least with respect to following your dreams — and then what you can do to make those dreams a reality. While you may start out thinking “what’s the point?” you’ll have a clearer idea of what’s worth salvaging and what could use a little more work in the end. .